China Yiwu International Commodities Fair was first created in 1995, this kind of fair has been held for the fourth session of the year on October 21 -25 in Yiwu, Zhejiang province. since 2002 International Commodities Fair was promoted to form by the Ministry of Commerce and Zhejiang Provincial People’s Government. The fair is held in Yiwu Commodities Fair Exhibition center which covers an area of 60,000 square eters, construction area of 46,500 square meters. During this fair, a variety of commodities with distinctive characteristics and international prominent level are exhibited. With the strong and perfect service system and healthy and safety protection, the fair has become the third largest, most influential and most effective consumer products exhibition organized by the Ministry of Commerce of China following the Canton Fair. China Yiwu International Commodities Fair has been entitled as the best exhibitions in China in 2005 bases on the level of management. 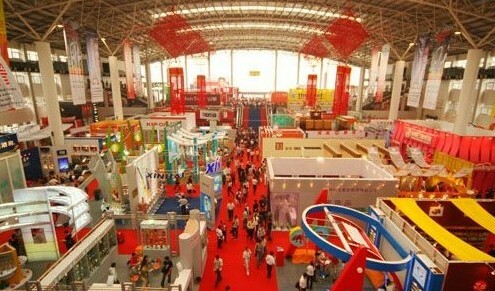 In 2006, it became China’s top ten most influential brand exhibitions. And in2007, it listed the best exhibitions of quality in Yangtze River Delta. The slogan “Facing the world, serving the country” reflects the purpose of expansing the number of exporting commodities.